Is your mom a tech lover? Does she enjoy anything related to electronics? If she loves gizmos and gadgets and the latest in technology here are some fun gifts we think she will enjoy. We have affiliate relationships which means we may get a small referral commission at no additional cost to you if you shop using our links. This stunning bracelet is not only a thing of beauty but it subtly secures your fit bit or other activity trackers. Who says you can’t look good and monitor your activity all at the same time? Not us! We love it and we are sure your mom will too. 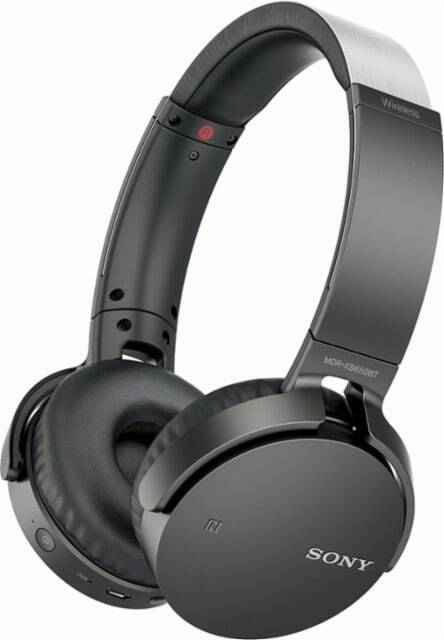 For the mom who loves listening to music, books on tape or watch movies while blocking out the world there are these great headphones by Sony. A great choice for the mom who’s phone or iPad is also her music and relaxation. 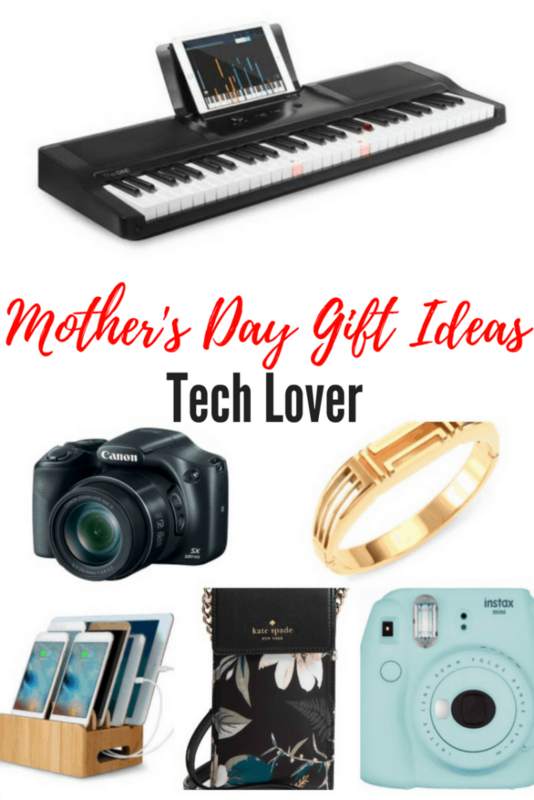 Give mom the gift of tech-savvy music this Mother’s Day. The ONE Light is a portable keyboard for beginners and experienced players alike. 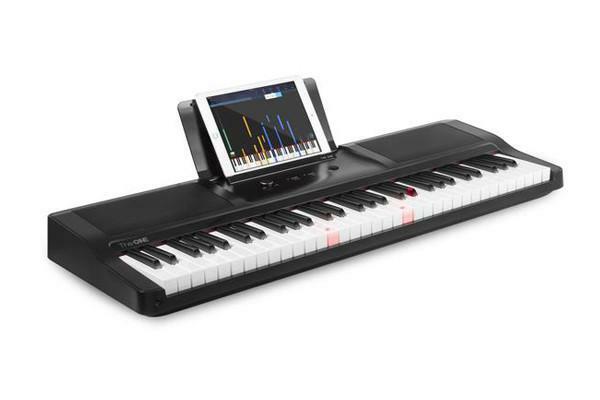 There are keys that light up with sheet music, video lessons, and games when connected with The ONE Smart Piano app. Comes with the keyboard and stand. 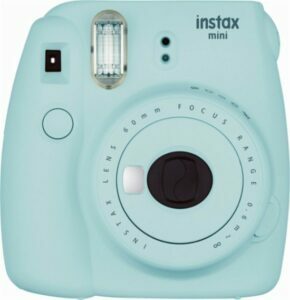 Polaroids were so much fun years ago and now they are back! You can choose from several colors and designs for mom. Just aim, shoot and print – all right from the camera. No reason not to capture those amazing moments with all her kids now. You can also get it on Amazon. Maybe mom would prefer a more traditional type camera. 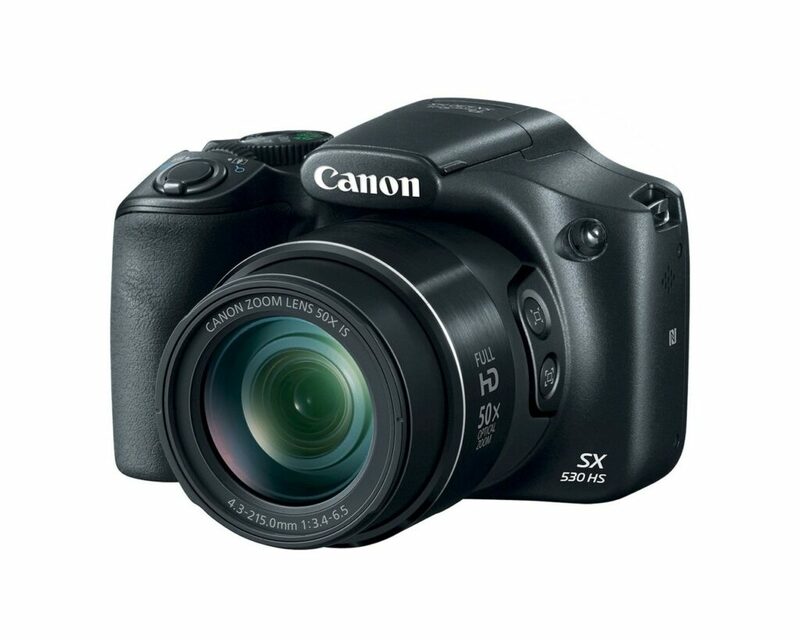 If so a Canon Powershot is an excellent way to go. I personally own one of these and they work great. If you like to buy from Amazon you can get it here. For the tech-loving mom who is also a pooch owner. 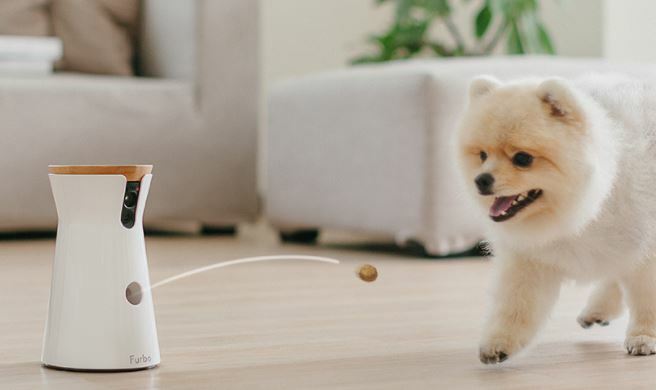 This totally fun camera tosses out dog treats when it senses your fur baby. It allows you to live stream your pet so you know exactly what they are up to while you are out of the room. 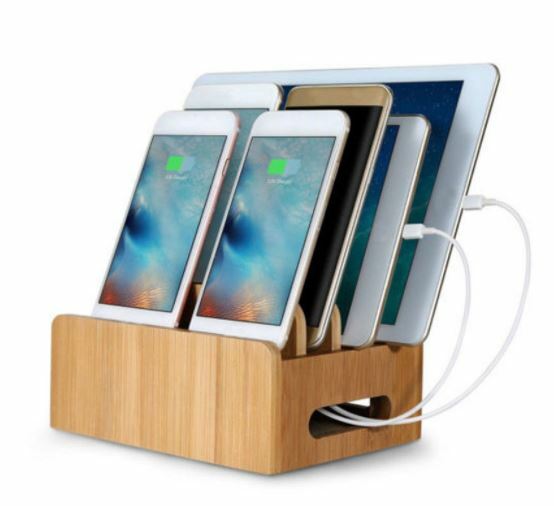 This is the perfect gift for the mom who loves all kinds of electronic devices and needs them all to be charged and ready to go. It’s sleek and compact and goes with any decor. She is going to love this! For the mom who has to have her tunes with her where ever she is, even in the shower. 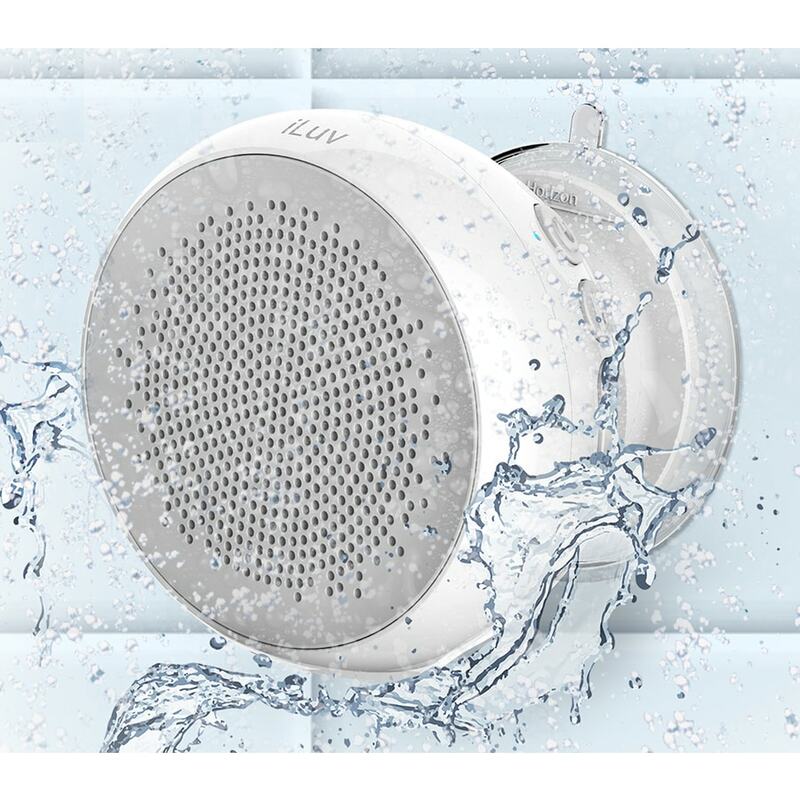 This portable speaker is IPX4 Water Resistance, has a double locking mount, flexible shower strap, and hands-free phone capabilities. If you are looking for something unique for mom it doesn’t get any better than this. 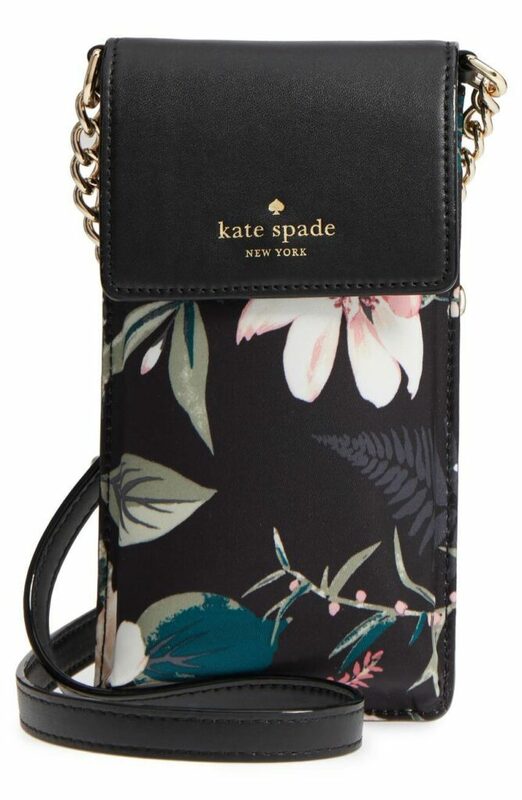 It doesn’t matter if you are busy running errands or going out on a date with your significant other you can keep your phone or other electronics nearby in a flower-printed case that is quite lovely. It features a chain crossbody strap and three convenient card slots so you can have everything you need in one sleek, trim crossbody bag. Which one of the tech gifts for Mom is your favorite?